The New York State Senate Leader Silver (D ) pushes back against Andrew Cuomo running against Albany…..
Andrew Cuomo is running against the unions and Albany for Governor of New York State…. During his speech to the state Democratic Party this week, Assembly Speaker Sheldon Silver went out of his way to defend his legislative body, and emphasize the importance of the Legislature. “One body of Democrats has been the consistent leader and unrelenting voice for hard-working middle-class families,” he said. Note….At some point Cuomo will have to make nice to the Union’s and Silver……The support of both are essential to have smooth sailing while governing as apposed to RUNNING for office…. Feingold strikes out on trying to get a firm date for a US Troop …..Afghan withdrawal….. The Senate approved a $58.8 billion wartime spending bill Thursday night even as House Democrats ordered still more cuts from their jobs and economic relief package in a desperate triage operation to save core provisions before Memorial Day. President Barack Obama is promised broad discretion — and funding — to pursue his expanded military commitments to Afghanistan and its neighbor Pakistan under the war appropriations, approved 67-28. But as many as 26 Republican senators—more than half the party’s conference—opposed the measure, reflecting deficit concerns. And the path ahead will get rockier given the fallout in the House from the fight over jobs and domestic spending. The latest round of cuts would eliminate $31 billion to pay for health-related benefits for the unemployed and federal aid to cash-strapped states to maintain Medicaid services. A third $21.9 billion Medicare provision, protecting physicians from deep cuts in their reimbursements over the next 19 months, will be made subject to a separate up-or-down vote. Left intact is $56.9 billion in tax-cut extensions and revenue offsets that pays for itself — as well as new infrastructure investments and summer jobs programs. This minimizes the deficit impact to about $40 billion in emergency funding to cover jobless benefits for the long-term unemployed through Nov. 30. “I feel comfortable that we will have something that will reach our goals,” said Speaker Nancy Pelosi in anticipation of floor votes Friday before the House recesses for the holiday. But with senators already heading out the door, there’s no longer any real chance of enactment this week. And even when the Senate returns June 7, the whole effort will have lost the momentum Democrats once hoped to harness this week. “We’re going to do our best but it’s just going to take time,” Senate Finance Committee Chairman Max Baucus (D—Mont.) told POLITICO. Just two Democrats, Sens. Russ Feingold of Wisconsin and Ron Wyden of Oregon, opposed the wartime appropriations, and a Feingold amendment, requiring Obama to spell out more fully his long-term expectations for a U.S. troop withdrawal, was earlier defeated 80-18. House Democrats are expected to impose more conditions on Afghan and Pakistani aid when they deal with the same bill next month. But in light of the jobs debate now, the bigger issue may be how much domestic spending will be added in the process. “Its chaos,” said House Appropriations Committee Chairman Dave Obey, who abruptly postponed his own markup of the war bill, scheduled for Thursday evening. The Wisconsin Democrat denied he was buying time to better judge the fallout from the jobs fight. But Obey is already proposing to add about $30 billion in domestic spending on top of the Senate totals and could become a target for governors seeking lost Medicaid funds. A new Mason-Dixon poll in Nevada shows Sue Lowden (R) barely edging Sharron Angle (R) for the Republican Senate nomination to challenge Sen. Harry Reid (D-NV), 30% to 29%, followed by Danny Tarkanian (R) at 23%. 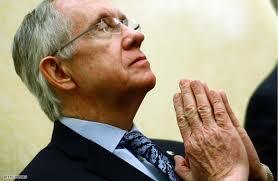 In general election match ups, Lowden leads Reid, 42% to 39%, and Tarkanian leads Reid, 42% to 41%. 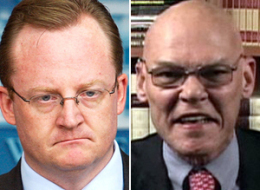 However, Reid leads Angle, 42% to 39%. It’s the first poll of this cycle that shows Reid could win re-election. Sestak….On many fronts…..and……..Bill Clinton is back…..
Joe Sestak is back with a BANG! They guy runs his mouth complaining about business as usual…..
Now has to sing his song….. Ask Steve Israel in New York…who dropped out running against Kirsten Gillibrand…..
On top of this he WON the Seat! Rep. Joe Sestak (D-Pa.) confirmed on the steps of the Capitol on Friday that former President Bill Clinton did call him last summer about a “presidential board” appointment if he didn’t jump into the Senate Democratic primary versus new Democratic Sen. Arlen Specter (Pa.). Sestak told reporters that had not previously brought up Clinton’s involvement when alleging that he was offered a job by the White House because he “honestly didn’t feel that it was right” to bring the former president into it. “During the conversation he talked about how tough the primary might be if I got in,” Sestak said, adding that Clinton had told the retired vice admiral that his military background could be of use. Joe Sestak is now running ahead of Toomey in the Pennsylvania Senate race…. Guess they all know who he is in that state, Huh? A new DailyKos/Research 2000 poll in Pennsylvania finds Rep. Joe Sestak (D) leading Pat Toomey (R) in the U.S. Senate race, 43% to 40%. A similar poll earlier this month had Toomey leading by five points. Chris…….. I’ll betcha your wrong buddy…..If I win you gotta list the Dog on your site….If I lose…Well…….He, he, he…You’re already listed on my site! William Jefferson Clinton never really left the Spot light…Did he? Bill Clinton’s picture is again a fixture on cable news. Republicans are sternly demanding a special prosecutor. And legal commentators are bickering over the finer points of federal criminal statutes on bribery and graft. It feels like 1997—but it’s 2010. And Barack Obama can’t be happy. The White House’s confirmation Friday that it enlisted former President Bill Clinton in an effort to get Rep. Joe Sestak out of the Pennsylvania Senate primary has sent the regular players in Washington’s scandal industry to their battle stations – to pick over the very sort of insider special dealing that Obama had promised to make a thing of the past. “That’s not the image he wants to project right now with all the things that are going on,” said Mark Rozell, a George Mason University professor who has written at length on the Clinton-era scandals. The use of Clinton as the conduit to offer Sestak an advisory board position is like catnip for cable television and for Republicans who have plenty of experience painting the former president as ethically challenged. Prediction.…..If the Sestak story has legs…..don’t stand too close to Rahm Emuanel…..He’s the one they are going to reach for and throw under the bus…..You heard it here first……President’s don’t get thrown…They have Secret Service protection….